Never stopped learning over all the years. Things found interesting in the first observation was always added to my learning list. Many of them eventually become part of my professional work. I added a few here from my old and new list. 1. HTML, JS, CSS, PHP, Perl, Python, AJAX, jQuery, Prototype, Smarty, Node.js, PhantomJS, etc. 3. Zend Framework, CakePHP, Symfony, Doctrine, Vanilla, CodeIgniter, Phalcon PHP, Laravel, etc. 4. Strong knowledge on cURL, Perl Compatible Regular Expressions, Website Scraping/Crawling/Parsing, PHP Security, PDF Programming & Security, SESSION Security, Flex Programming, etc. MySQL, PostgreSQL, Oracle, SQL Server, Sybase, Informix, DB2, MongoDB, etc. apner website deklam, khub valo laglo. Yes brother, I did a lot other things but didnt modify this page long days. So you are seeing all older things here. Thanks. Nice to see ur site. 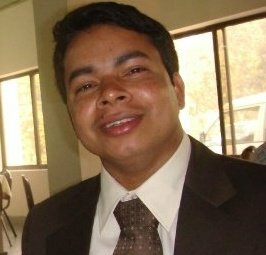 i recently visit one of the website where you posted the graph data structure in PHP classes… i like to thank u soo much that i will solve 70% of my problem which i was trying to do.. i have basically created a automated timetable generation using the technique of graph coloring.. any recommendation and suggestion regarding graph coloring (your other examples on this class) would highly appreciable..